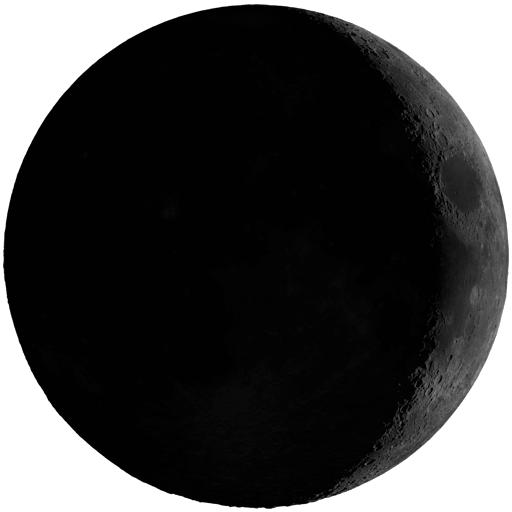 A few days after the new moon phase, the Moon will be visible again in a phase that lasts until the first quarter, called waxing crescent moon. The initial period, just after the Moon becomes visible, is sometimes called new moon, although it has another definition. Although only a small part of the Moon may be illuminated by the Sun, the rest of the Moon may also be faintly visible, due to a reflection from the Earth to the Moon, called earthshine. The waxing crescent moon is most visible after sunset. The first visual sight of the waxing crescent moon determines the beginnings of months in the Muslim calendar. Location: Moon is 45 - 90 degrees ahead of the Sun. What is a waxing crescent moon? The waxing crescent moon is defined to occur when the Moon is nearly, but not precisely, on a line with the Earth and Sun. This means that part but less than one-half of the Moon is illuminated by direct sunlight, creating a crescent moon. 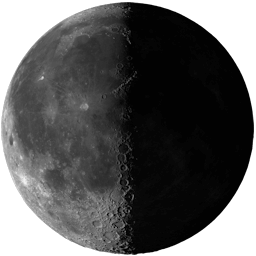 Because the fraction of the Moon’s disk that is illuminated is increasing, we consider the Moon to be “waxing.” Each new lunar cycle is measured beginning at each new moon and the waxing crescent moon occurs when the Moon is less than one-quarter of the way around the sky (i.e., along its orbit) from new moon. Gathering information; Making plans; Laying a Foundation; Emotions; Start of change. This is a time of regeneration. Anything you do to strengthen your body, to fortify yourself, is much more effective that when the moon is waxing. The body absorbs more easily... both good and bad. Gathering resources / information needed for your goals. Relates to the gathering of food by the seeds, so initial plans and actions, starting small, are now happening.